Total War’s sieges are, alternately, the best and worst parts of the game. They’re brilliant examples of the spectacle on which the series trades so well, but they’re often where the AI falls down, your intricate tactics are useless, and thing get buggy. 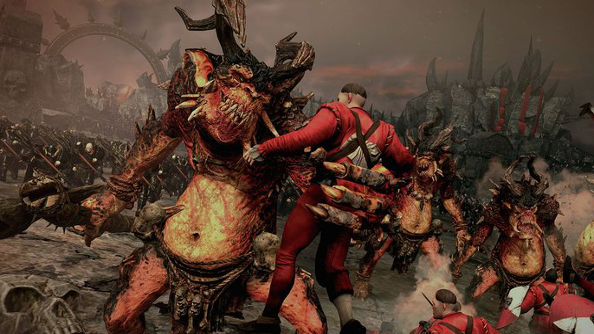 In Total War: Warhammer, Creative Assembly, and specifically lead battle AI programmer Andre Arsenault who was speaking at GDC, want to change things. Tactics tickles you, does it? Play one of the best PC strategy games. Fast and high intensity, rather than defined phases. Fighting in a single-direction – one side of a city. Therefore, the AI must be quick and broad. What this means for players is less fighting outside the city you’re supposed to be defending or attacking. 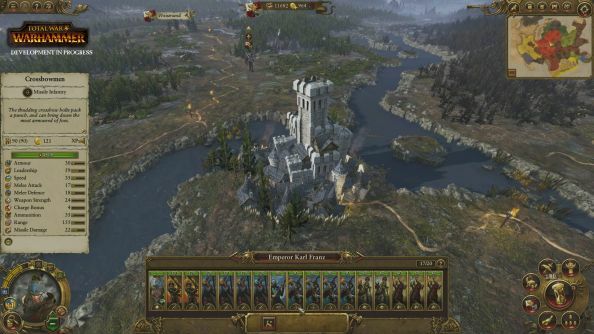 You’ll be holding walls against or assaulting with multiple styles of attack at once, trying to fend off artillary with outriders while protecting your gates from battering rams and other nasties, and making sure your walls aren’t landed on and overtaken by siege towers and ladder-carrying footmen. If they are, there isn’t some second chance for you to rally a few troops and hold a street – you’re in deep, deep trouble unless you’ve already done serious damage. Part of the reason for this change is how different the world is. 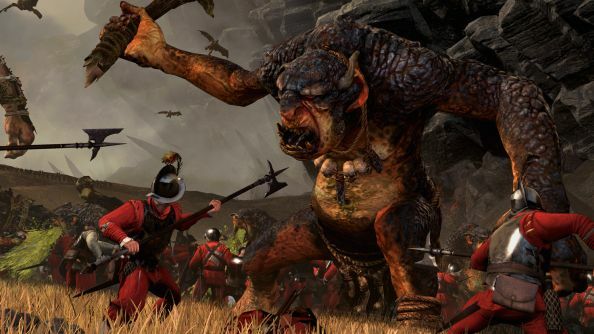 There’s monsters, flying machines, war engines, heroes with magical equipment – stuff the previously historical-only armies of Total War did not have access to. Moreover, not every faction has access to all of these all the time. 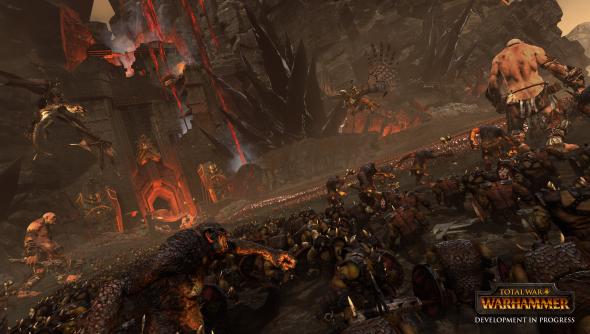 Some might not have any ranged units, while an early army of any faction probably doesn’t have a wall-smiting Warhammer equipped to a Gryphon-riding commander. How the AI deals with this has changed, as Arsenault explains, “In historical games, unit classification was pretty straight forward. We had sword infantry, spear infantry, missile units, cavalry and artillary. It’s a nice and simple classification system. So as a result, the AI succumbed to the temptation of making behavioural decisions based on the type of the unit. 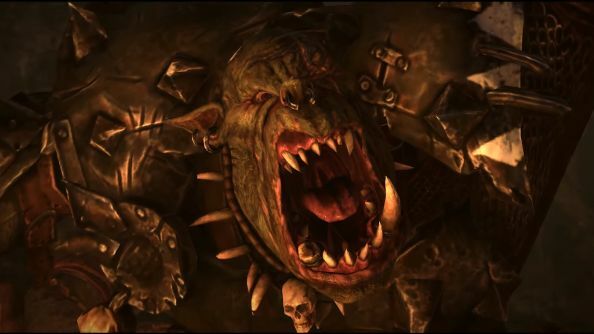 But in Warhammer we have all of those things plus [fantasy-style units]. At first those might just seem like new unit categories, but the units themselves within those categories can have very different strengths and weaknesses, especially with the individual hero units. As a result, we needed a better way to describe each unit’s role on the battlefield to the AI. “So essentially, the unit AI was asking the wrong question – it doesn’t matter what a unit is, it matters how we should use it. Is it excellent in melee, or should it try to avoid combat altogether? Is it a great choice for breaking down the gates, or should it try flanking instead? Is it a high value unit that should be protected, even at the cost of another unit? The AI has also diversified its tactics on a single battlefield. No longer will it go all-in on scaling the walls or breaking down the gate, but it will have different individual groups trying to accomplish different tasks – or tactics, as the CA team calls them. Their end goal of an entry point to the city is the same, but the AI is now capable of deciding which units would be best for what, and how many should be committed, when they should move on from their task and who they should support once their tactic has been successful or has failed. This uses a similarly massive introduction called the Reserves. Arsenault says that this is essentially where the AI puts backups, units it can send where they will have the most impact, at the correct times. Rather than going all in on your walls to begin with and then not having the forces to reinforce the one breach it makes, there will be plenty of units to come join the fighting at its thickest. Best of all, this means when an AI-controlled army reinforces you, it won’t just mill about doing its own thing, but try to complement your battle plans. If you’re close to breaching a wall with artillery, it’ll throw its own guns against that section. If you’ve made a hole, in go the cavalry. He went on to say that the reserves try not to over-assign to one entry point just because it’s of high-value, but they’ll also happily wait for better opportunities so as not to be baited into defeat at one low-effect target. Flying units are the exception, having their own rules for how they must engage a castle, making them the only ones who escape the battle tactic to reserves and back to tactics core loop. This AI is smart, and it’s interesting, and it’s exactly what the sieges of old needed to keep them spicy. Too many turned simply into spearmen ramming into each other at the doors, or easy ride-outs with large cavalries. When enemies approach across a single, diversified front with massive sets of tactics ready to defeat your own series of decisions, that’s a more fun – and more difficult – game.